From decadent medieval popes to modern televangelists with private jets, religion and money can make for an unsavoury mix. But why do we think of charity – care for the poor and the sick – as a good in the first place? The Graeco-Roman world didn’t think so: they mostly thought the poor and suffering deserved what they got. It was Jewish thought, turbocharged by the teaching of Jesus, that transformed the way we think vulnerable people should be treated. This segment traces the origins of healthcare in the West and focuses on the story of Fabiola, the wealthy noblewoman who founded Rome’s first hospital. SIMON SMART: It wasn’t just the poor who benefitted when Christians heeded the lesson of the Good Samaritan and Jesus’ other teachings. From the beginning, the followers of Jesus saw the sick and the dying as their neighbour, deserving of love and care. In fact, that’s one of the reasons why the early church grew so rapidly. 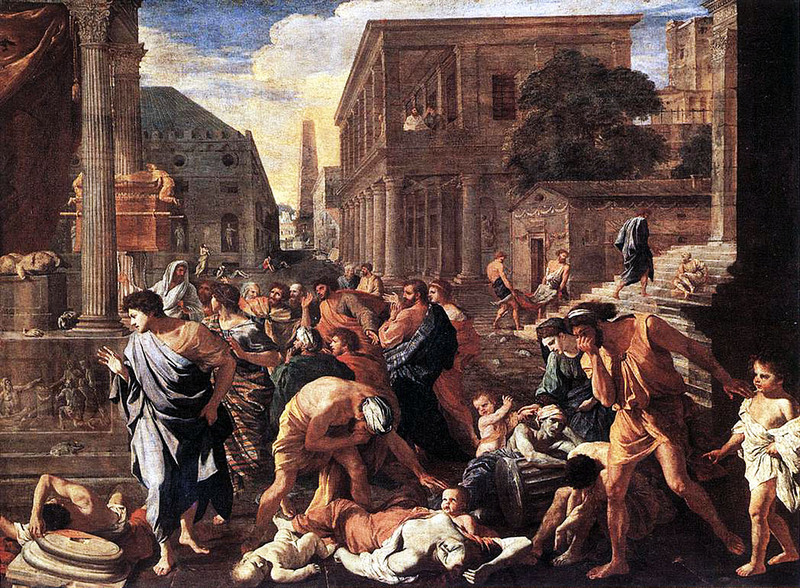 In 165AD, a terrible plague hit the entire Roman world. It lasted for 15 years. There was another one nearly a century later that ran for almost 20 years. At the height of these plagues, in Rome alone, up to 5000 people were dying every day. NICK SPENCER: There’s good evidence that during the plagues that ravaged the ancient world, Christians tended to stay in the cities (rich people fled) and looked after plague victims and looked after one another as well. In other words, there was a practical demonstration of this love, which went hand in hand with the theoretical articulation of this love, which slowly and partially reformed the classical mind. JOHN DICKSON: The Christian response to illness wasn’t just an emergency measure. In about 390, the first public hospital in Western Europe was founded in Rome, by a woman called Fabiola. Fabiola was from one of the seven founding families of Rome, and was one of the wealthiest people in the city. At some point – we don’t quite know when – she became a Christian. She sold everything she had and used the money to help the poor and needy. When Fabiola opened her hospital, the idea of free public healthcare was so new, so radical, that no-one showed up – they just couldn’t believe it was true! So she went out on the streets, searching for the desperately ill, and sometimes carrying them herself back to the hospital. Jerome, a distinguished church father and Fabiola’s mentor, wrote warmly of her after her death. ACTOR (JEROME): She founded an infirmary and gathered into it sufferers from the streets, giving a nurse’s care to poor bodies worn with sickness and hunger – maimed noses, lost eyes, scorched feet, leprous arms, swollen bellies. How often she carried on her own shoulders poor filthy wretches tortured by epilepsy! How often did she wash away the purulent matters from wounds which others could not even endure to look at! She gave food with her own hands, and even when a man was but a breathing corpse, she would moisten his lips with drops of water. Rome was not large enough for her kindness. JOHN DICKSON: It’s said that at her funeral all Rome turned out, and that the passion of the occasion exceeded Rome’s military parades. SIMON SMART: For many centuries, Christians were about the only ones in the game. Monasteries and cathedrals were built with hospitals attached, and if you needed one, you’d be nursed by monks or nuns. Even today, when Western governments mostly take charge of health care for their citizens, the churches are still heavily involved in looking after the sick and the elderly. But not everyone has found such behaviour praiseworthy. The 19th-century philosopher Friedrich Nietzsche condemned Judaism and Christianity for giving special attention to the sick – turning Nature’s values upside down. ACTOR (FRIEDRICH NIETZSCHE): This Jesus of Nazareth, the incarnate gospel of love, this “Redeemer” bringing salvation and victory to the poor, the sick, the sinners – was he not really temptation in its most sinister and irresistible form? Preventing the sick from making the healthy sick – this ought to be our supreme object in the world. But for this it is above all essential that the healthy remain separated from the sick, that they should even guard themselves from the look of the sick, that they not even associate with the sick. The higher must not degrade itself by becoming the tool of the lower. SIMON SMART: Nietzsche was horrified that Christian compassion had so shaped Western culture, when nature intended the strong to thrive and the weak to disappear. Maybe Nietzsche’s right, it might not be natural to care for people like this. But when I’m weak and sick, as I’m sure to be at some point in my life, I’m glad to know there are people who’ll care for me. DAVID BENTLEY HART: People take it for granted that institutions of public welfare, that free hospitals, that care for the poor, is actually a social good, a demand made on us as moral beings whether it’s economically feasible or not, whether it’s socially necessary or not. Nonetheless, we take that for granted. Should people be concerned about the physical wellbeing of others? Discuss a time when either you or someone close to you has been very sick. What treatment and care did you or that person receive? If you could eradicate one disease from the world, which disease would you choose and why? Watch this video about the 2014 Ebola Virus Outbreak in Sierra Leone from The New York Times. How has Ebola devastated this town? Imagine your suburb has been infected with an epidemic like Ebola. Write a Facebook post describing your experiences and calling for help. Choose three different images to describe “healthcare”. Explain your choices. On the line below, mark how important you think it is for a society to provide affordable, quality healthcare. What was the Christian response to the plagues that hit the ancient Roman world? Imagine you are a Christian at the time of these plagues. How would you counter the advice from your Roman friend to flee to another city? Dr Lynn Cohick of Wheaton College says, “Christians believe that each person is made in the image of God, and thus each person should be cared for, even if they are very ill.” How might this belief have shaped the lives of the early Christians who cared for plague victims? In the boxes below, sketch some of the things Fabiola did to help the sick. Underline a line from Jerome’s quote about Fabiola that particularly stands out to you. Summarise Friedrich Nietzsche’s views about the care for the sick displayed by Jesus and carried out by the early church. Nietzsche’s views were based on the idea that “nature intended the strong to thrive and the weak to disappear”. Argue for and against this idea. In small groups, re-enact this passage as a TV news report. What proof can you find that Jesus was not reluctant to be near sick people? What does this passage show us about Jesus’ attitude and actions towards the sick? Who is Jesus talking about when he says “your neighbour”? Create a scenario that demonstrates what loving another person as yourself would look like. How did the early Christians interpret this teaching? Imagine you are given $50 million to open a hospital. What sorts of things would you do in your hospital to value and show love to the patients? Write Jesus’ response to Nietzsche. List some of the ways our society is doing a good job of caring for the sick, and the ways it could improve. Research a hospital anywhere in the world that was set up by Christians. Make a poster highlighting what the hospital does and how Christian values shape their practices. (For an example, watch CPX’s interview with founder Dr Jo Lusi and CEO Dr Justin Paluku of the HEAL Africa hospital in the Democratic Republic of the Congo). Listen to CPX’s podcast episode “In sickness and in health”. Write down three things that stand out to you.